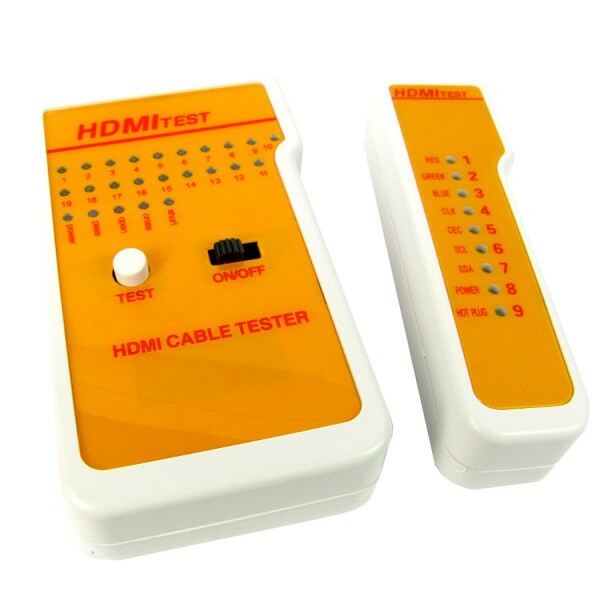 This HDMI cable tester is a compact sized unit for testing HDMI cables. It can be used to read and check the pin-out configuration of cables before and after installation. A separate passive module is included for remote testing of pre-installed cables.